Love Vinyl DRS Ltd Exclusive – Limited press 500 units and demo/test pressings 20 units. 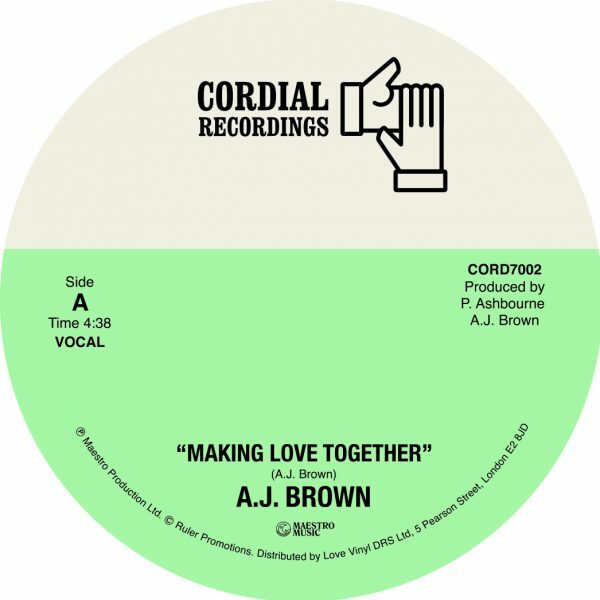 The second release from Cordial Recordings is the timeless Montego Bay groove of AJ Brown’s 80s modern soul and steppers classic ‘Making Love Together,’ which has been mastered from the original tapes and sounds phatter than ever on this pressing. Whilst on the flip for the first time on vinyl we have the original instrumental version. 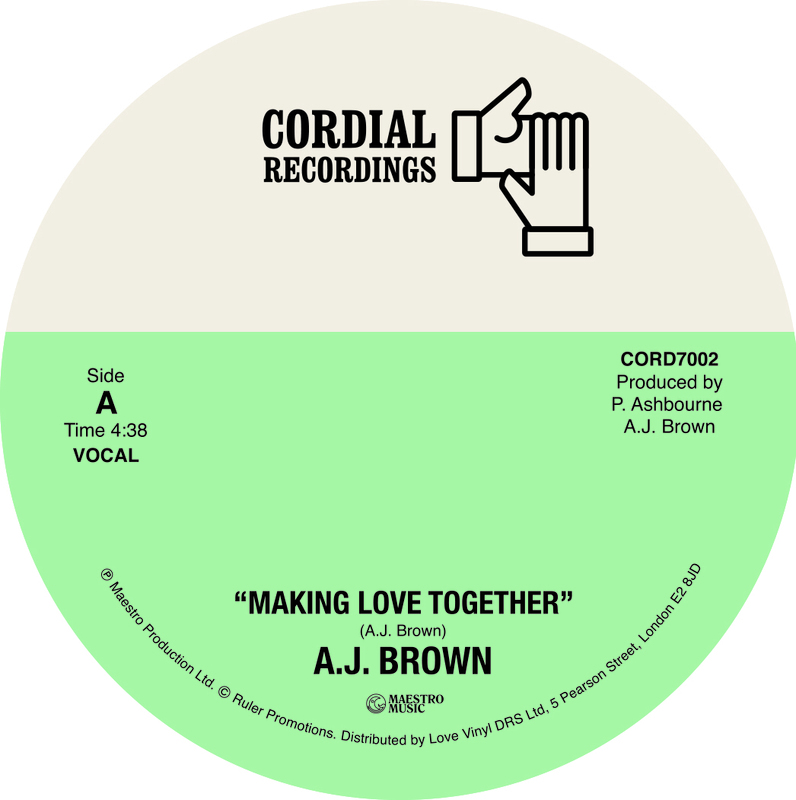 AJ is currently singing with the legendary Third World and this official release brings new life to a classic song.